Aug 09, 2016 (LBO) – Sri Lanka’s Mackwoods Plantations (Private) Limited says the recent share sale of Agalawatte Plantations had been unanimously approved by the shareholders of the company. In a stock exchange filing, Agalawatte Plantations said they have been notified that all the shareholders of Mackwoods Plantations (Private) Limited unanimously approved and executed an agreement for the sale of the shares. Mackwoods Plantations (Private) Limited is wholly owned by only two shareholders, one local and one foreign. “We are informed that the foreign investor from Malaysia has been a significant shareholder of Mackwoods Plantations (Private) Limited since 1995; while the local shareholder is Mackwoods (Private) Limited,” the statement said. Mackwoods Plantations (Private) Limited has also informed the Company that they had been considering divesting its shareholding in the Company for a considerable period of time following the serious industry downturn for plantations in the past few years. On 14 July 2016, Mackwoods Plantations (Private) Limited sold their shares at a price of 20 rupees per share and Browns Power Holdings (Private) Limited purchased 15,200,000 shares constituting 60.80 percent of the voting rights in Agalawatte Plantations. 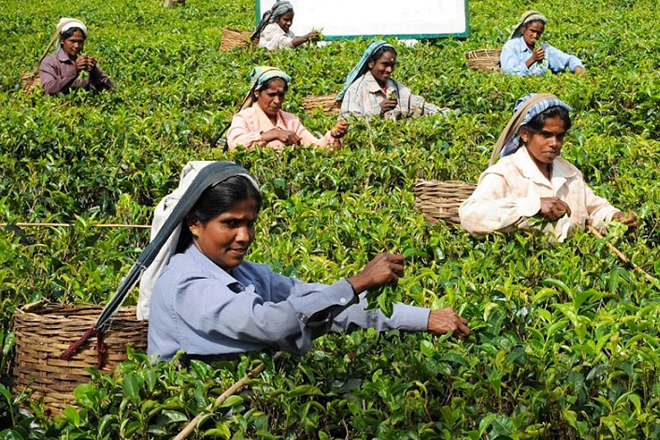 The Browns Group presently owns the controlling interests in Pussellawa Plantations Ltd. and Maturata Plantations Ltd, two of the largest tea and rubber producing companies in Sri Lanka. However, Sri Lanka’s Securities and Exchange Commission in a directive to Claridge Stockbrokers last month said the sales proceeds of 304 million rupees for 15.2 million shares of Agalawatte Plantations must be withheld pending an investigation.